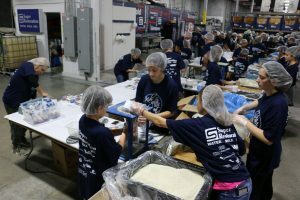 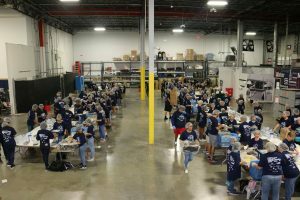 Super Restoration helped assemble a team of 650 volunteers who spent a weekend preparing an astounding 124,416 meals for hungry children around the world during a recent mobile pack event for Feed My Starving Children. 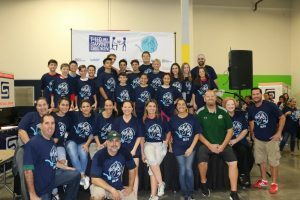 This was the company’s third year participating in this worthwhile event. 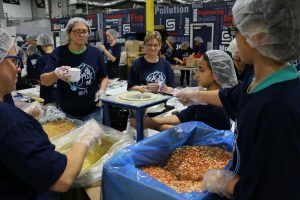 In addition to packing meals, the team also helped raise $30,000 for this worthy cause.